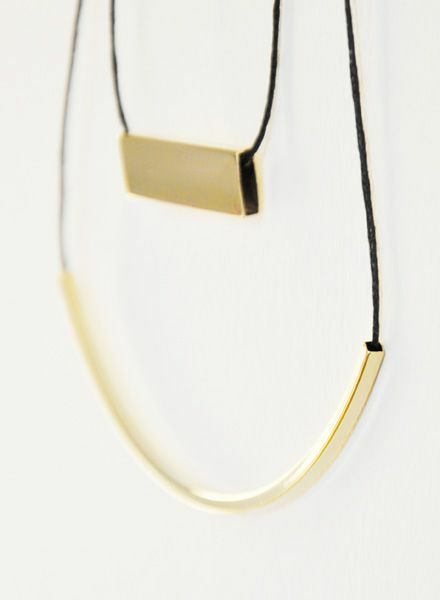 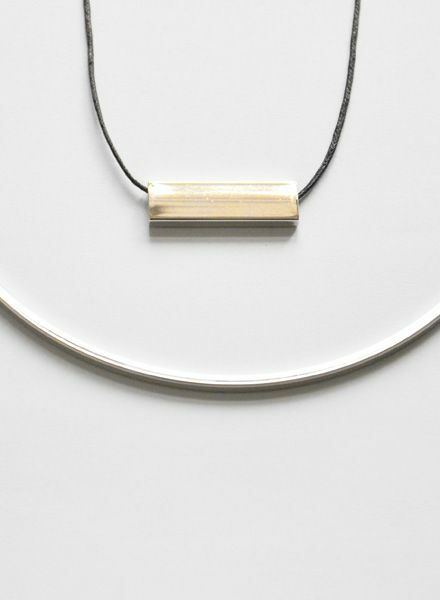 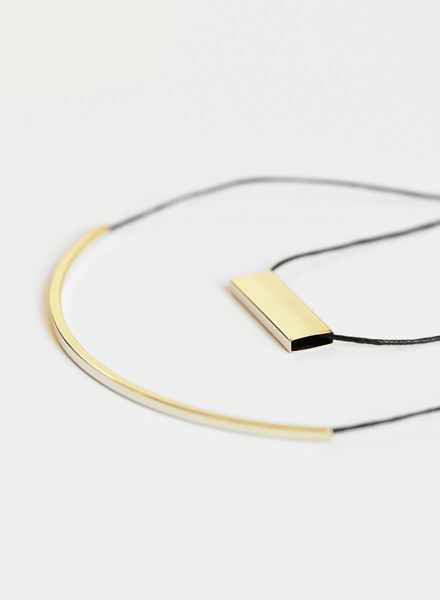 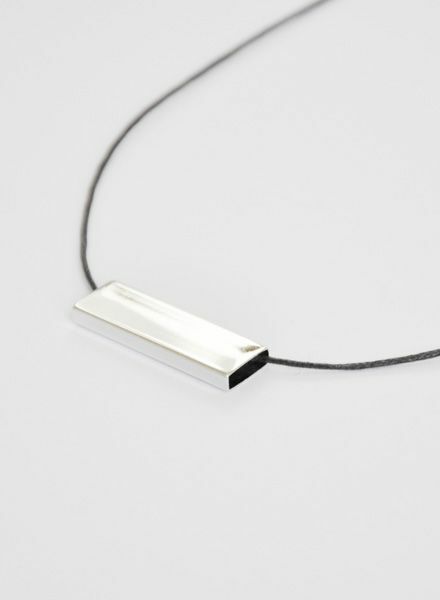 This beautiful necklace persuases with its simple geoemtric form and comes in two different styles, white or yellow gold plated. 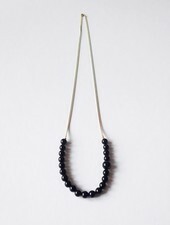 The black cotton string can be adjusted and therefore styled differently. 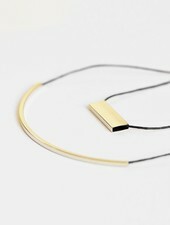 Material: Brass plated with white or yellow gold. 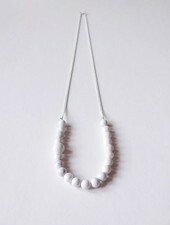 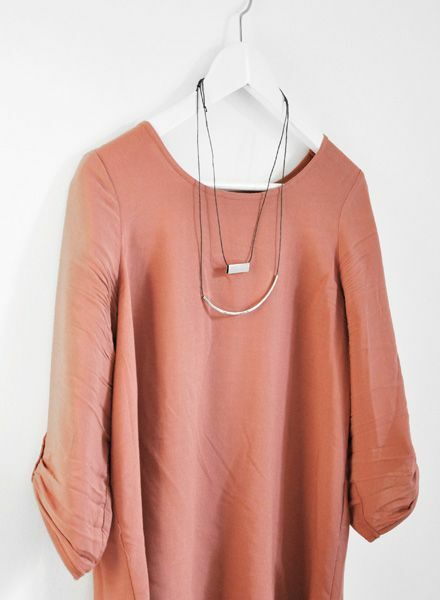 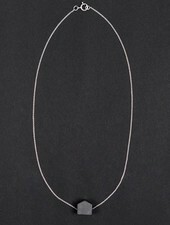 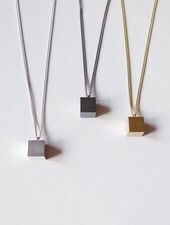 The necklace comes a sone piece, the long tube necklace can be ordered seperately.